I would love to see Congo re-themed as Star Wars. The Volcano shot as a Death Star shot would be amazing. And the rest of the playfield layout could be easily converted into so many great aspects of the star wars galaxy. What game would you like to see rethemed? RCT as the original Tron movie. Red, blue, yellow wireforms as the light cycle ramps (same exact light cycle colors in the first movie). Troll would be changed to the MCP tower. With the drop targets needed to be dropped in order to get to the janitor target, it would be just like using your disc and battling the MCP tower ala the end of Tron. Scrambled eggs, could be changed to Dumont since he looks like a circle that spins in the movie anyway or even Sark who you could battle. Map room scoop could be Flynn's Arcade. Then top it off with a ruleset that isn't horrible. So much potential. It's a perfect retheme as the game has so much to offer playfield wise, but is such a stinker theme and rules wise. I wish I had the time and brains to be able to pull something off like that. Baywatch -> Coast Guard Rescue...or something like that. "Grand Lizard to Grand Wizard"
Twilight Zone to Gravity Falls would be perfect! (Spoilers ahead if you haven't seen the whole show!) Change the Power to Bill Cipher (Bot are one eyed, triangular pyramids) and battle him in the mind-scape with the magnetic flippers. The player piano could be Li'l Gideon's Tent of Telepathy (He "predicts" which mode you want) and the slot machine would be the Mystery Shack. Instead of collecting door panels, you would collect journal pages. All the other little things could easily be made to fit with the theme. The rocket could be Mabel's grappling hook, town square would... Basically still be town square, hitch-hikers would be Mystery Shack customers, the clock would get the cipher wheel on it, and all the different modes would just be rethemed to fit the gameplay. The wizard mode would be Weirdmageddon of course, and that makes a lot of sense given how hectic TZ's wizard mode is! Jungle Lord to Settlers of Catan. World Cup Soccer to NHL. You've already got the goal, just turn the spinning soccer ball into the top of the Stanley Cup! Anybody says Hardbody you earned a nut punch. No fear to Fear and Loathing in Las Vegas. Change the skull to Hunter S Thompsons head. All artwork done in Ralph Steadman style. Based on the book, not the movie, so pull call outs from actual Thompson audio. The movie is great too though. Getaway to Back to the Future. The supercharger when activated could represent the Delorean going through time. Video mode shot would be a general mode start shot. Gear inserts changed to represent scenes from the film. The shifter plunger mech can stay as hey the Delorean in the film has a manual transmission. Xenon to futurerama. Tube shot is the transportation tubes. I will do it someday. Future Spa...that game could use a real facelift. Make it about anything else. Rob Zombie's Spookshow - keep it Rob Zombie, but re-theme it with an attractive playfield and plastics artwork. Stern Striker Xtreme would also make a good NHL pin. Pirates of the Caribbean chainged to The Goonies I think could potentially be cool. My brother is working with a comic book artist to retheme this game currently. Some people just love this theme. A friend is doing a seriois restore on it now..... I dont get it. Hans and Franz translite.. I'm telling you ! I am, however, re-theming my Spring Break. Dragon Ball Z.
Laser War to The Warriors. What you gonna do when they come for you!! Could be like the Sopranos but the cops are beating you!! Future Ama ..... put Leela's head on a couple of the chicks... make Bender be the Dude With No Neck.. and so on. Futurama would be an excellent pin. Have all the characters on the playfield. So much potential in this pin. Would love a Scooby Doo pin as well. Much like spooky's pinball AMH. Sacrilege! You can't retheme Future Spa, it's the definitive 1970s utopia of dayglo jumpsuits. Would you rather be stuck with the 1980s vision of the future, all huge shoulderpads and bubble perms? Or the 1990s vision of the future, grungy and grotty and all shot on video? Or the 2000s 'everything looks like Buffy' vision of the future? Actually get used to that one, it's not going away. Actually get used to that one, it's not going away. Meh. Not much into fashion, myself. This is just a title where you either really like the theme or really hate it. 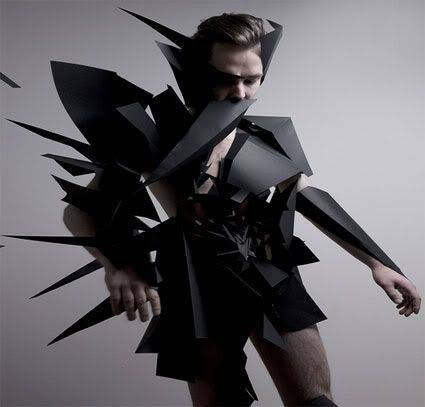 Maybe retheme it with Christian Marche's vision of the future, pointy people. I'd like to see Gottlieb's Gladiators rethemed to the Zelda game it was always destined to be. I briefly thought about doing it myself, but then I gave myself a reality check and realized that I just didn't posses the time or skills to do so. Call it: Wok Warrior/Wok This Way/Genghis Wok/All Wok, No Play. The MSG-free LE uses soup spoons instead of flippers, and chopsticks replacing wireforms. -Lightning wheel is the Wok Wheel/Menu. Consume all 16 appetizers/entrees to reach the wizard mode: Iron Chef! -BLACK KNIGHT letters now spell FRIED WONTON. -Magna Save is Fortune Cookie. Each successful save will blurt a happy save quote by The King himself! -WIN WAR lanes spell HOT WOK or DIM SUM. -Skyway Loop is Sautéed Loop. Keep hitting it to mix ingredients/culinary modes for maximum points and Zagat stars! -Pop bumpers add different sauces (soy, duck, sriracha, hoy sin, chili, etc) to your meal and increase jackpot value! -RANSOM is replaced with HUNGRY. -Spin/VUK shot is the Stir Fry award mixer. -U-turn is the Lazy Susan, which cycles entrees at high speed, and randomly adds different spices to current entree mode. -Left ramp is the Spatula, which leads to second level representing a hibachi grill where all the action happens! -Motorized Fried Eggroll targets (lit by MSG inserts) drop to qualify Dinner Plate lock where entrees are served/locked. Lock three entrees/balls to start Cuisine Multiball! -Shoot again is Return For Seconds. -Bonus X inserts are levels of spicy: Mild, Medium, Hot, Hot as F--- and OMFG! for center hold bonus insert. -The King will provide his own voice.....but with an Asian accent! I would love to take a monster bash and turn it into a munsters bash. Repaint all figures and new artwork. Retheme Centaur as Ramones. Don't change the 1-2-3-4 targets. Hahaha, sounds like a scheme to get the 12-16 year old female demographic into pinball. Hey, at 0.50 a pop, it's cheaper than an internet jukebox. I was always surprised Sega pinball never made a StH pin. They made the video game "Sonic Spinball". The original series itself with its ramps, loops, and hero quickly zooming around in a ball-form would've translated nicely to pinball IMO.